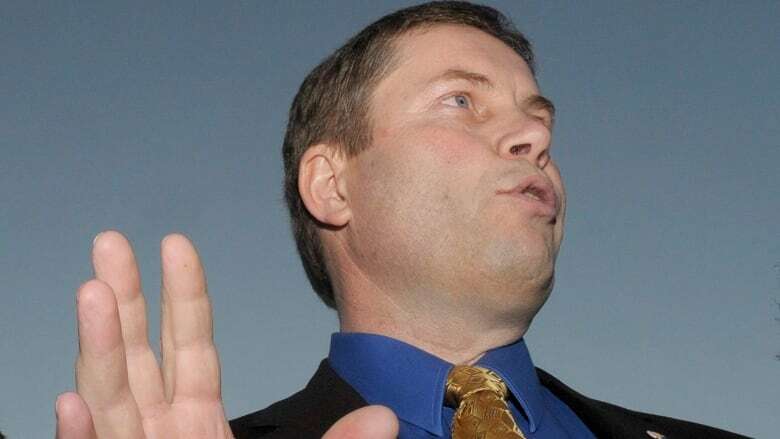 A former Alberta Wildrose leader says he wants to run for the leadership of the new United Conservative party, but needs donations to meet the steep $95,000 entry fee. Paul Hinman says he has to come up with $57,500 — about two-thirds of the money — by the Tuesday night deadline, but isn't sure he can do it. Hinman characterized his chances of making the deadline as "a coin flip." "It's not looking as good as I thought it would at this point in the game, but I'm not giving up," he said Monday in an interview. He said the high fee is undemocratic and not consistent with a party that champions grassroots decision-making. "It's not in the general interest," he said. "I know as conservatives we get hung up on dollar costs, and that was the excuse that was given out, that we don't want this to be a money-losing proposition. "[But] I think there are a few things in government — as well as in the party — that it's not about making money." ​Hinman served two separate terms in the legislature, first as a member of the old Alberta Alliance in 2004, and later as a member of the merged Wildrose Alliance in 2009. The Wildrose joined forces with the Progressive Conservatives earlier this summer to form the new party. A new leader will be picked on Oct. 28 and there are four other announced candidates. The fee for the race has been set at $95,000 per candidate to cover the expected cost of the vote and to ensure it does not run a deficit. The base fee is $75,000 along with a $20,000 good conduct bond that will be refunded if the candidate abides by the race rules. Half the base fee, $37,500, plus the $20,000 good conduct bond is due Tuesday. Hinman said he would stand for free votes in the legislature and protect parents' rights in education. He said he would also champion conscience rights for public providers, something the governing NDP caucus, in a statement, characterized as "a dog whistle to mean restricting access to contraception, abortion and medical assistance in dying." Former Progressive Conservative leader Jason Kenney and former Wildrose chief Brian Jean are running, as is longtime conservative strategist Doug Schweitzer and former Wildrose president Jeff Callaway. All have said they expect to meet the financial deadlines. Callaway said Hinman's concerns about the fee echo what he's hearing from UCP members. "I've heard a lot of feedback from members that it's excessive," said Callaway. "And I'll just say as a former president of the [Wildrose] party, having run two of these leadership election races, we ran them on a lot lower amounts." Anyone wishing to vote must buy a party membership by Sept. 29. The vote will be done by phone or online over three days starting Oct. 26.